Our team has compiled a list of our top tips to save you money when booking your vacation. All-inclusive resorts have been a popular way to travel for quite some time. 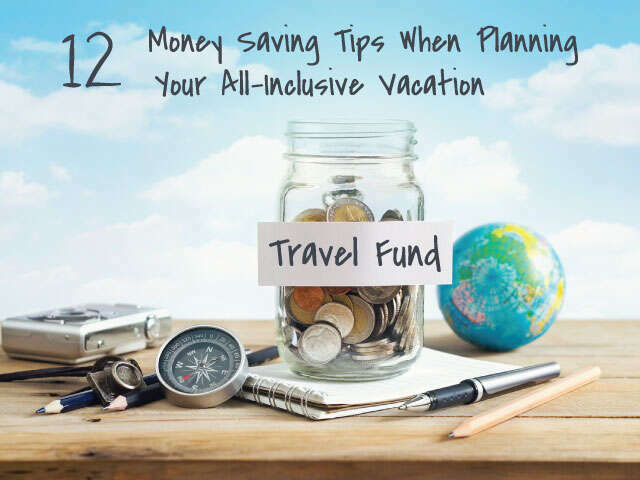 After many stays at all-inclusive resorts, here is a collective list of our top tips to save you money when booking your vacation. All-inclusive resorts have been a popular way to travel for quite some time. The overall benefit is that you don’t have to think about a thing while you’re away and can just kick back and enjoy your surroundings. From activities to meals, the resort provides everything right there on the premises and you’ll truly have the opportunity to relax. This will save you money. If it just you, your partner and maybe two friends or your kids, consider inviting others to join you. Groups are typically made up of 10 travellers, but some companies will give group discounts and perks to groups of 8 - just ask us! Most all-inclusive vacationers do purchase a package which include the resort stay, flights and transfers in destination. But some less savvy travellers purchase these items separately which can make the vacation price sky rocket. By booking as a package you will save and have the peace of mind that all components of your trip work together. Oftentimes all-inclusive resorts cater to specific groups of travellers. The cheapest option is not always the best option and may not give you the right value for your money. This is YOUR vacation after all. We are here to help, your UNIGLOBE Travel Consultant can give you insider information on the properties and work with you to find the best fit to meet your travel needs. Travelling as a couple and looking for romance, relaxation, and a distinct lack of being splashed by kids jumping into the pool over and over again? Consider booking at an adults-only property. Travelling with kids that like to jump into the pool over and over again? Look for resorts featuring pools and activities geared toward children. No, Seriously, pack a brand new full size bottle! The sun in southern countries is vastly different than the sun here at home in Canada. It’s stronger and you’ll be applying sunblock more often as you’re apt to be spending most of your day outside. Bring a brand new bottle of sunblock so that you don’t run out mid-way through your holiday. In the event you do run out, be prepared to pay a premium price to buy more in the hotel gift shop. Many first time All-Inclusive vacationers won’t know this insider trick. In most cases the cups at all-inclusive resort bars are quite small, and often flimsy at best. We suggest you bring your own cup to reduce trips to get refreshments. Using a travel mug insulated gives an added bonus by keeping drinks cool while out in the sun. It is most likely you will be booking your All-Inclusive vacation package with a tour operator such as Transat Holidays, Nolitours, WestJet Vacations or Air Canada Vacations. Many tour operators allow you to pre-book excursions meaning you can save and have less to worry about once you are on holiday. Bonus is you get to secure your spot on that limited 4x4 tour you had your eye on. Even if you are unable to book excursions ahead of time take a moment, or ask your UNIGLOBE Travel Consultant, to look over the available excursions for the area you are visiting. This will help you plan ahead and allow you to get booked soon as you get to your destination. This is more of a sanity saver than a money saver. When traveller with wee ones many will opt for a family friendly resort with lots of activities for the smaller travellers. Many all-inclusive resorts have wonderful kids camps for families. Talk to your UNIGLOBE Travel Consultant about the best family friendly resorts to fit your budget and meet your needs. Doing some research beforehand into any requirements that they Kid’s Clubs may have for shoes or clothing can help alleviate disappointments once in destination. Begin chatting with your little ones to prepare them. Show them the photos online and get them comfortable and even excited about the idea of going. This will give you free time as adults and the activities they will enjoy are wonderful. Yes it is true, you can exchange your Canadian dollars at the hotel or in the nearby town, but in just above every case the rate will be less favorable than what you can get at home. If you are prone to indigestion, headaches or other common ailments, bring your preferred remedies with you. You likely can by the same over-the-counter medicine brands we have here or something similar at the resort’s gift shop, but just like the sun screen, you will pay a hefty premium for this convenience. Save your nickels and plan ahead, just in case you catch a tummy bug. Leave contact details with someone not so lucky to be going on vacation. It is a good idea to have some on your home tuff be able to reach you in case of emergency. Provide your resort name, location, phone number and address. It is also good practice to leave a copy of your important travel documents behind as well, just in case they are lost or stolen, this can help expedite getting a replacement. We can write a whole novel on what this one is important and can potentially save you buckets of money. The short of it is you have put in so much time and effort planning this perfect getaway why let a necessary visit to a doctor ruin your entire holiday. Should you find yourself seriously ill or injured, you will be eternally grateful you purchase travel insurance. Ask your UNIGLOBE Travel Consultant to quote you on insurance bundles to best suit your needs and budget. At each all-inclusive resort, there are activities all day long which you may want to try; aquasize, beach volley ball, yoga, mini golf, archery and more. Remember that you’re vacationing in the sun and can run out of steam quickly. Remind yourself why you booked the tip in the first place. Take some downtime each day to rest and recharge so that you don’t overdo it too soon and find yourself in bed before the evening shows. Do what works for you. Pack a novel you’ve been hoping to read, toss a knitting project in your suitcase (albeit, knitting a scarf on the beach may seem a little odd), or bring along a travel board game. Don’t forget the items you like which help you unwind.